My name is Cormac O’Comhrai, I’m from Furbo, in South Connemara, it’s on the coast between Barna and Spiddal. I am a school teacher and a historian. Coming towards, Easter Sunday contradictory orders arrived from Dublin with some orders telling people to rebel and other attempting to cancel the rebellion. Ok, essentially, what had happened was that Eoin MacNeill, who was the nominal head of the Irish Volunteers, found out that the Irish Republican Brotherhood intended to rebel and had used and tricked his organisation towards a rebellion and he attempted to cancel that rebellion. So all over the country, there was total confusion, some areas didn’t receive either set or orders, ok, so essentially, what happened then was that people from Connemara, some of them attempted to travel into East Galway to find out what had happened, so Colm Ó’Gadhra for example is arrested, he’s a Rosmuc man, he’s arrested, serves a prison term, attempting to travel out of the area to find out what had happened. In Leenane, Peter McDonnell travels up towards Newport, to find, are they any the wiser and they haven’t a clue what’s going on either. 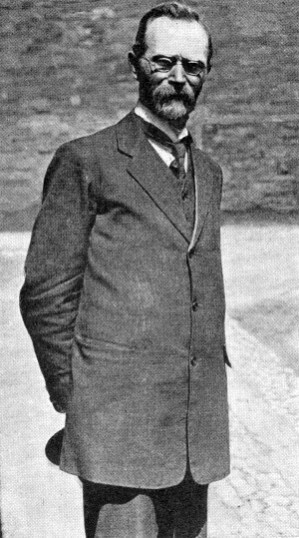 Mícheál Ó Droighneáin (Michael Thornton), a school teacher in Furbo, he was arrested in Galway City, attempting to find out what’s happening on east of the city, because there was rumours afoot, that the Germans had landed, that there was rebellions in various area and that kind of thing. Pádraic Ó Máille, later a Sinn Féin T.D., he’s arrested, so for many people in Connemara, they actually don’t see any action and then other people saw action almost by accident, in the sense of labourers, probably agricultural seasonal travelling labourers from Connemara take part in the rebellion in East Galway, just on the basis that they happened to be in the area at the time. And of course, there was Connemara people on the other side, if we move towards Dublin, you will see, say Peter Folan, who was a Policeman, but Nationalist and Republican sympathies, he happens to be in Dublin Castle when the first incident of the Rising takes place and the first Republican casualty Séan Connolly from The Irish Citizen Army used to take part in Irish language plays in Spiddal for example. You have Frank King, a R.I.C. man from the Uachtar Ard area, who was involved in the arrest of the Kent’s in Cork, which leads to the death of several members of the Kent family and a member of the R.I.C. (Royal Irish Constabulary). Another person, who was arrested was C. O’Laoira, a medical student from the Spiddal area, the university in Galway had a reputation for being republican. Finally, it is important as well to recognise the role of women. For, example, Katie Kelly from Cashel, takes part in the Rising in Dublin, where women played a role in dangerous work, such as, carrying dispatches and the like between various rebel posts. Some of the them would have been involved in medical treatment providing medical treatment to wounded rebels and the like. So leading from on there, in the days, the weeks, the months after the Rising, there is a kind of national round-up, a number of Connemara people are arrested and imprisoned either in British jails or more commonly in Frongoch, which is an internment camp in Wales, so amongst those you would have had in Frongoch were Pádraic Ó Máille, who allegedly escaped dressed with the help of a local woman, you would have had Brian Joyce from the Aran Islands, who was involved and who fought in the Rising in Dublin, Mícheál O’Maoilin was a trade unionist from the Aran Islands. Colm Ó’Gadhra, another person who was interned was a fella called Grealish from Ceantar na nOileán of Connemara, which is the islands, west of Carraroe and again both of them were arrested in the aftermath of the Rising and there was some suspicion, because that they were out at sea, they must have been assisting the Germans or trying to assist the Germans in some way. Mícheál Ó Droighneáin from Spiddal was send to Frongoch, the internment camp as well, where he would have engaged in Irish language classes, you know, teaching either native speakers, how to read the language who didn’t know it or helping learners, learn the language and of course, Mark McDonagh from Moycullen, he spent the Rising in jail in Dublin because just before the Rising, himself and a group of men volunteers from Moycullen had marched to a recruitment meeting completely disrupting it, he received a three month jail sentence because of it. So, although the fighting happened in other parts of Galway and in Dublin and Ashbourne, it’s important to remember that like all aspects of history, that they are relevant to all parts of the country, there is a connection on both sides of the Rising from each part of the country, but also as well, it would have impacted on those who learned about it from afar, so for example; one volunteer from Leenane, one later Irish Volunteer said that the first sense of awakening that occurred to him, happened on Easter Monday 1916, when he learnt of the news in Dublin.